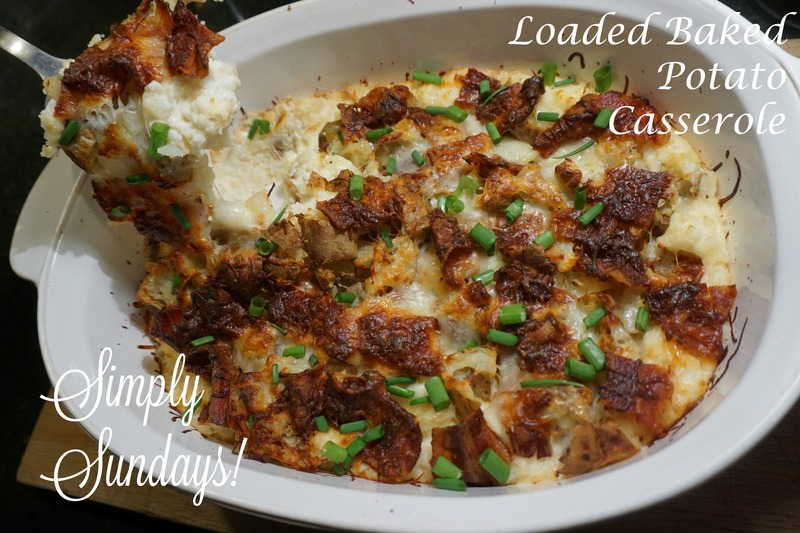 Loaded Baked Potato Casserole – Simply Sundays! What’s the best part of a Loaded Baked Potato? The crispy bacon? The ooey-gooey cheese? Creamy butter & sour cream?? I can’t choose. Let’s put them all together in a delicious casserole and enjoy all the flavors at once! Did someone say “dairy”? Why yes! Top with fresh scallions and serve! So I have to go to a potluck Saturday and had no idea what to bring. I’m settled on a veggie tray with the avocado dip and the loaded baked potato side dish! Any suggestions on the best way to double the recipe? Sometimes when you just double it recipes aren’t as good.